We love your products! 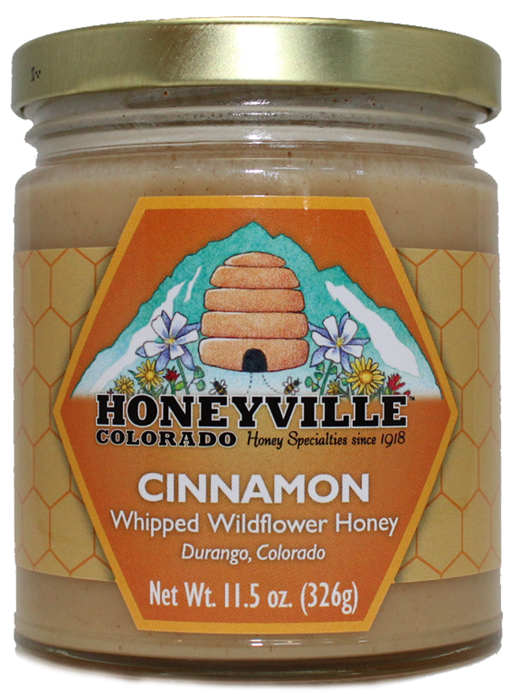 My girlfriend is a Durango native and bought some for us as a gift and now we can't use any other Cinnamon Whipped Honey. We first bought a few flavors of honey on vacation this year in Durango. We will be sending for more, often. We love it all, especially the squeeze bottles. Love this product and my son uses it on everything. A little disappointed in the tub top, as it doesn't screw on well at all. I couldn't believe how fast my order came! I love the cinnamon honey in my pumpkin spice tea in the morning. It enhances the flavor so much. Can't live without it! Thank you, thank you! I love Honeyville whipped honey! It's a great spread for toast, addition to oatmeal, or to make a PB& H! This is the best honey I have ever tasted!! The whipped honey with cinnamon is outstanding, I exhausted my supply giving as Christmas presents, going have to order more for myself. Third time I have purchased the cinnamon honey. Love it in tea. We tried another from a farmer's market but it could not compare. 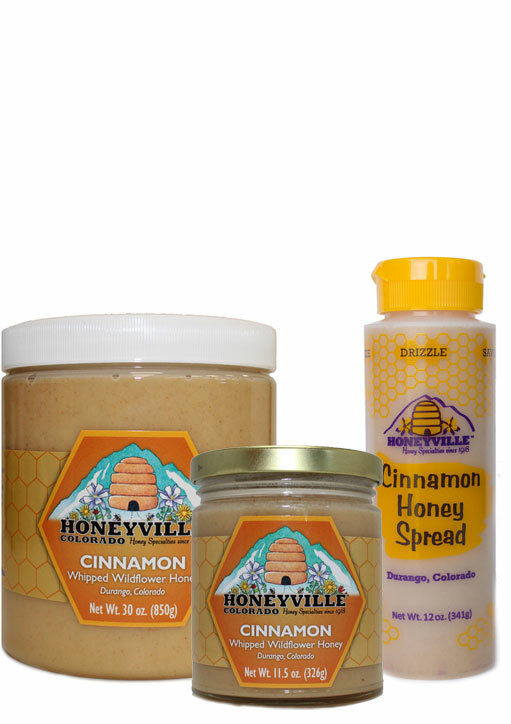 For Christmas, our family has been enjoying the gift of cinnamon honey for over 25 years, and Honeyville has yet to disappoint us!!! 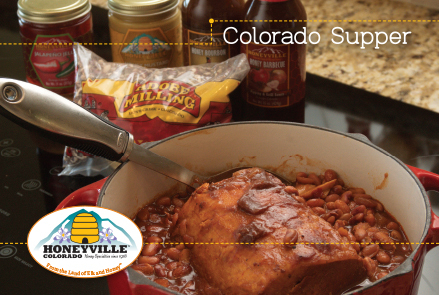 We enjoy ALL of Honeyville products! Employees are wonderful. We try to visit every year. We just purchased several jars of the cinnamon honey for Christmas gifts. Ohhh, sooo yummy! I have gone to Honeyville since I was a child. 60+ years. Now I can order the Cinnamon Whipped honey online which is our favorite. Sweet memories. 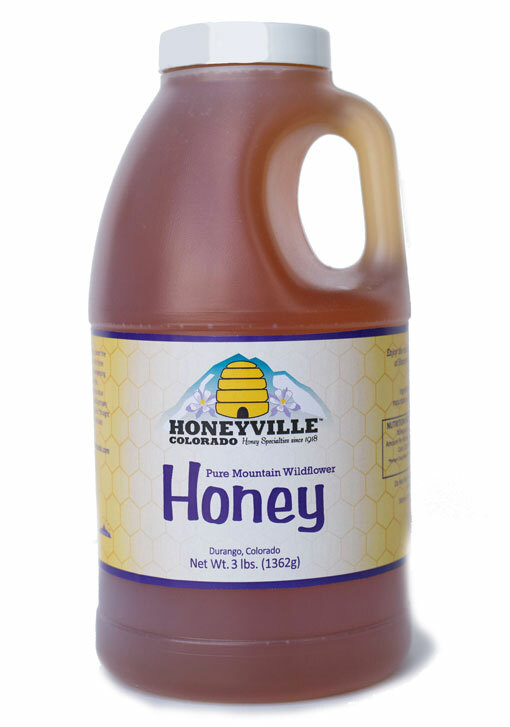 I also order Honeyville products for gifts. I tried this Cinnamon Honey while visiting my mom in Colorado over the summer. As soon as I got home I ordered some because I couldn't get enough of it! I am now on my second jar because I eat so much of it. Cinnamon is my favorite but mixed with the Honeyville honey it is simply amazing!!! I order the cinnamon honey by the case! It tastes amazing and makes a great little gift. Received in a very timely manner. Taste as good as the first time I ordered some. This whipped honey in all flavors is so good and addicting. Wish I could afford to eat more! I actually ordered 10 jars of various flavors of honey and love them all. This is the best "Find" I have ever made! We visited Honeyville during a vacation in Durago last year and have been a regular buyer ever since (including gift baskets for relatives). Love their products! The cinnamon whipped honey is the best! I couldn't make it to Colorado this year so I ordered some to last until I can get there again! This honey is the best! I bought it for my husband & I and then for my son and then for my granddaughter. We love it! It is excellent! Absolutely delicious on toast and in tea and we are addicted! I like em. I'm hooked on cinnamon. Delicious, creamy and no added sweeteners makes it better! I'm live a strict dietary regiment, one of which is not using added artificial sugars. This whipped honey is perfect for using just a tad on baked sweet potatoes, gluten/dairy free pancakes, as an apple dip or in a bit in coconut plain yogurt. I can only imagine what this would taste like on a good morning breakfast plate! The jar is good sized, will last a while, and the cinnamon flavor is just right. 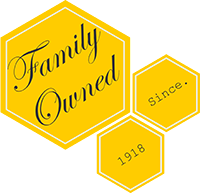 I have been buying honey from Honeyville since 1956 and the quality and variety are still the watchword!!! I will be back!!!! The Cinnamon honey is my all time favorite! On fruit, in tea and of course on hot biscuits! Love it! I have reordered this several times. great in warm tea. Also give away as a gift and very good response from all who have received one. I received this Whipped Wildflower honey as a gift for Christmas, and it was the amazing. I have since ordered 12 more bottles, it's so good you can eat it with just a spoon! The website was easy to navigate, find the product, order, pay and then you were notified at every step where you are in the process. 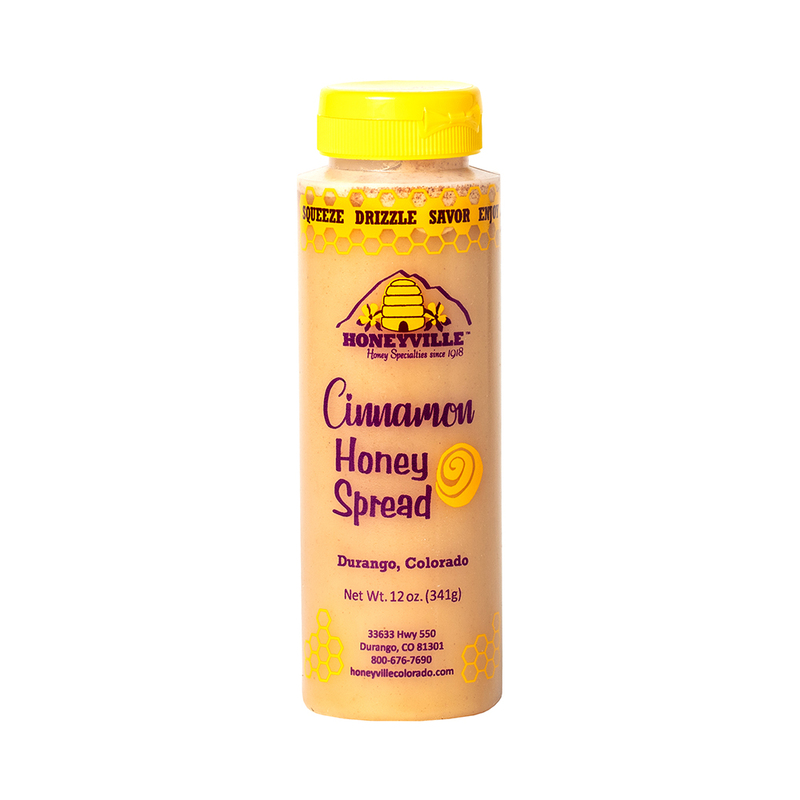 As always, Honeyville cinnamon whipped honey spread is absolutly wonderful! Best honey I have ever had!! Love it in my tea!! I don't like honey but using this honey in my tea has definitely changed my mind!! This may get to be an expensive habit since I have used a 30 oz container in less than a month!! I LOVE this honey!! We absolutely love your products. The Cinnamon Whipped Honey and the Peanut Butter Honey Spreads are amazing. The only tough part for us is since we have such small orders, the shipping costs are making it somewhat cost prohibitive to order as often as we'd like. -HV- Hi Marcus, we do have wholesale customers that sell our products in and near Highlands Ranch CO. Please contact us and we can give you where to buy near you. 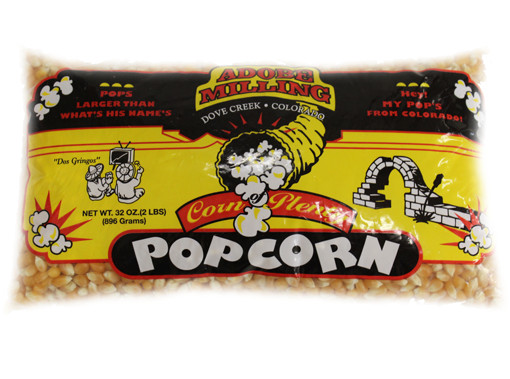 Product was good, (have been getting for years), but shipment had issues. The shipping carton was in good condition, but one plastic lid was broken into numerous pieces, as if jar had been dropped during packaging. -HV- Hi Blake, hard to say what happened without seeing it but we are happy to get you a replacement. Great product. We use it on our oatmeal in the morning. Replaces the sugar and makes it taste great! I have been a fan of Honeyville for over 20 years! I now live across the country so I am very grateful for online ordering. Of course my absolute favorite is the Cinnamon Whipped Honey, but you really can't go wrong with any of there products. 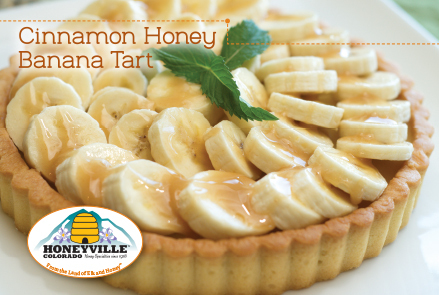 Thank you Honeyville for bringing a taste of home to New Jersey! We love the cinnamon whipped honey! So glad they are making it in the larger containers. We are addicted and love to give it as gifts for Christmas! The cinnamon whipped honey is just awesome. My kids love it they eat it on toast every day. I recommend getting 2 jars it's definitely worth it. After having a small jar of your Whipped Honey with Cinnamon, I bought some here locally and was so disappointed. Nothing even close ! I purchased your biggest jar available and am in Honey Heaven!! Don't ever change it ! Perfection in a jar!!! Delicious of baked sweet potatoes and goes well with hot buttered bread out of the oven! Been buy it for year. Great product and service. We buy some every time we go to Durango for The Polar Express. And now we've started ordering it via mail, because we can't wait that long! Honeyville honey has the best flavor, and the whipped honey with cinnamon is AMAZING. Creamy and smooth with a rich flavor. My family loves the Whipped Cinnamon Honey. It is even a requested holiday gift from our granddaughter. I've been using their honey for years. Mostly in oatmeal with roasted nuts. For example: Maple Hazelnut honey, oatmeal and roasted hazelnuts. Best oatmeal every. The cinnamon honey goes in coffee. My husband says "it tastes like Christmas!" Love the whipped Cinnamon Honey, I have some every morning. It is so good, that i ordered the 20 oz jar. I ordered 3 30 oz. jars of the cinnimon honey. I had purchased one jar before and made the mistake of letting my husband try it. It was gone in a week. 45 minutes after I placed the order I got an email stating it had been shipped. Can't get any better than that. My favorite honey. Nothing I have tasted compares. Grand children love it. as always your guys things are the best i love them and your service is great thank you so much. DON'T CHANGE IT, GREAT AS IT IS. Have used products for over ten years and have been thoroughly satisfied. Shipping is very quick. As usual, the service was great and the cinnamon whipped honey is beyond compare. Wonderful stuff! My grandchildren and I visited your store when they were visiting me from New York last summer, and we purchased a jar of Whipped Cinnamon Honey. When I was about to leave to visit them for Christmas, I received an urgent request to bring more of the Cinnamon Honey. I ordered it online instead and got them the 30-oz tub, so they should be happy for a long time! 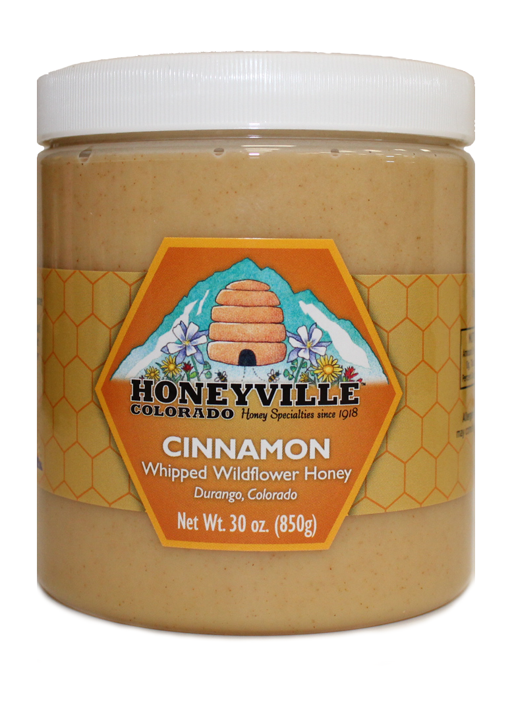 I have been buying Honeyville"s Cinnamon Whipped Honey for years. It is just the right balance between honey and cinnamon. It is a family favorite. It was even requested as a Christmas gift by one of the grandchildren. We love Honneyville Whipped honey. The best ever. Service is great and product is always exceptional. Can't live without my honey!!! My wife's favorite! We always have some on hand. Simply delicious! 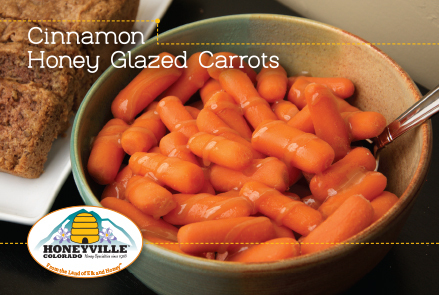 The bottle squeezes easily and the honey comes out thick and has a nice hint of cinnamon! Yummy! Loved this product! Taste was excellent and texture was smooth and easily spread. Excellent product and incredible customer service!!! We will be ordering again and again!! All my family has been customers of Honeyville since I was in my elementary school years (I'm now 67) so I've been a fan forever. I love everything I ever bought there but by far the whipped cinnamon honey is my favorite. Keep producing your wonderful honey! Bought on a trip and gave it to my daughter. Got to taste it at her house. It was so good I had to order one for myself! Cinnamon Honey is my favorite! This is my favorite gift for my Bible Study group & others friends. Everyone says they've never tasted honey this good. This is my favorite honey.